When I first came to KAASO in 2009, I had no idea where my journey would lead. I hoped my time in the village would change me and the way I viewed the world, but I could never have imagined how great the impact it would have, that it would change not only the way I saw the world, but my place in it. KAASO has now become a huge part of who I am and I just love these trips back to my village home. As many of you know, the Kiwi Sponsorships programme I have been running for the past six years all started with Henry, an irresistible little boy with a huge smile and even bigger dreams. He had more than enough determination to make those dreams come true, but not the funds. My parents and I stepped in to help him and the Kiwi Sponsorships was born. Other friends and family members soon joined and, over the years, as I find myself unable to stop talking about KAASO, even more people have joined in to support those students unable to continue onto secondary school. There are now have 32 students who are receiving an education thanks to that love and care. It is easy to feel in life that we are just one small drop in a great ocean of need and what can one person possibly do? My time at KAASO has taught me that we can do more than we realize, not just by financially supporting a student but, most importantly, by believing in them. 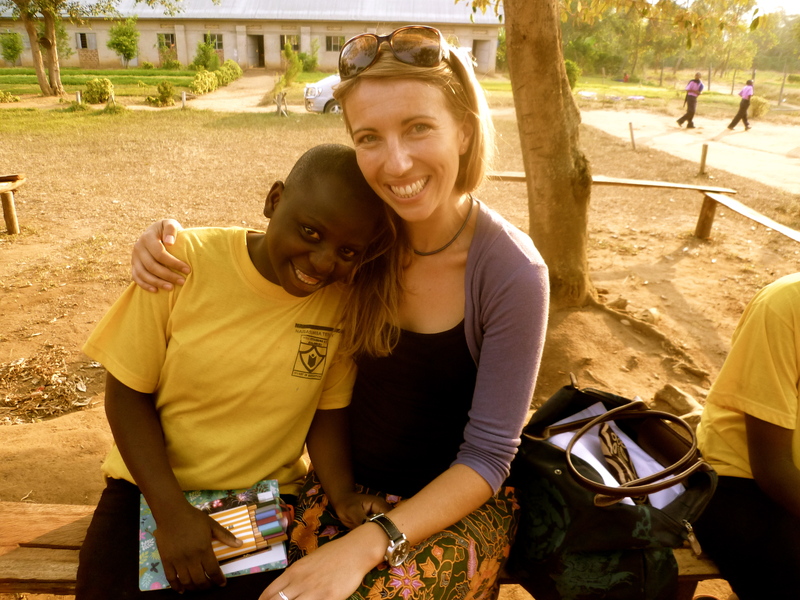 Many of the children here come from families ripped apart by AIDS, poverty and incredibly difficult circumstances. Yesterday I visited a girl whose father was shot dead on the side of the road when she was still in her mother’s womb, another whose father was killed in a motor accident when she was just two months old and whose mother, unable to cope, abandoned the girl with her elderly grandmother. There are so many difficult stories, sometimes it’s hard to take. But in spite of their challenging situations, these children still have spirit. They have determination and drive and the will to make something of themselves. 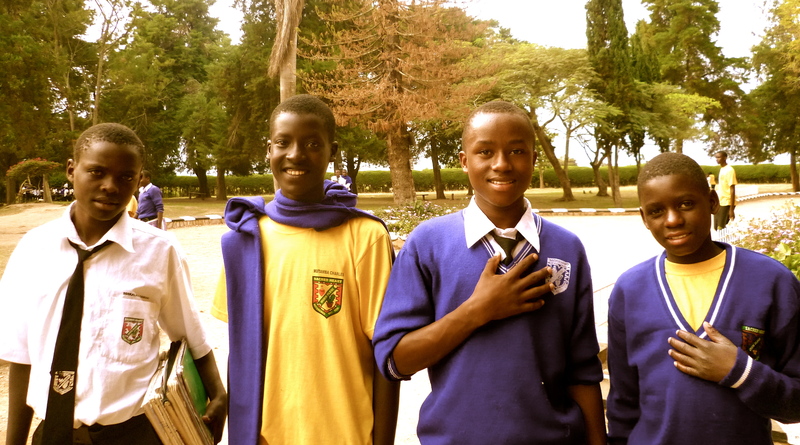 They finish primary school fired up and ready to take on the world. However, without the benefit of KAASO’s incredible system of free primary schooling, their dreams of further education are quickly cut short. So I can only imagine how it must feel for such children to then find out that someone across the world, someone they have never laid eyes on, has offered to help them, to believe in them, to support them through their schooling so that they can have the opportunity so many of us take for granted. An education. It’s overwhelming seeing what the promise of an education brings to the children here, the look of disbelief on their faces when they learn that someone they have never met believes in them and is giving them the chance to learn. It is humbling in the extreme. No wonder my time at KAASO is so incredibly emotional but so immensely satisfying. After the meeting and a huge feast for lunch, I stood, bursting with pride as our graduation ceremony got underway. Courtney, the wonderful fellow Kiwi volunteer at KAASO, had decorated Kiwi House with the children, just as Cherie had done so six years earlier for the opening of Kiwi House. Now I watched as eight of our students were celebrated for their achievements over the six years of their sponsorship. Four students have now finished Senior Six, their final year of secondary school, and another four have graduated from two-year vocational courses following Senior Four – two nurses and two vets-in-training. After the speeches, I was called to the verandah of Kiwi House dressed, somewhat hilariously, in a graduation gown, where I read the names of each student to an audience of parents, guardians, community members and children. As each child came to the stage, Dominic presented them with a graduation certificate while Rose pinned their GRADUATE sashes to the happy students. As I hugged each one tightly, I thought I might explode with happiness. From everyone at KAASO, thanks so much to our family of sponsors. You are changing lives, giving hope, and raising elephants. 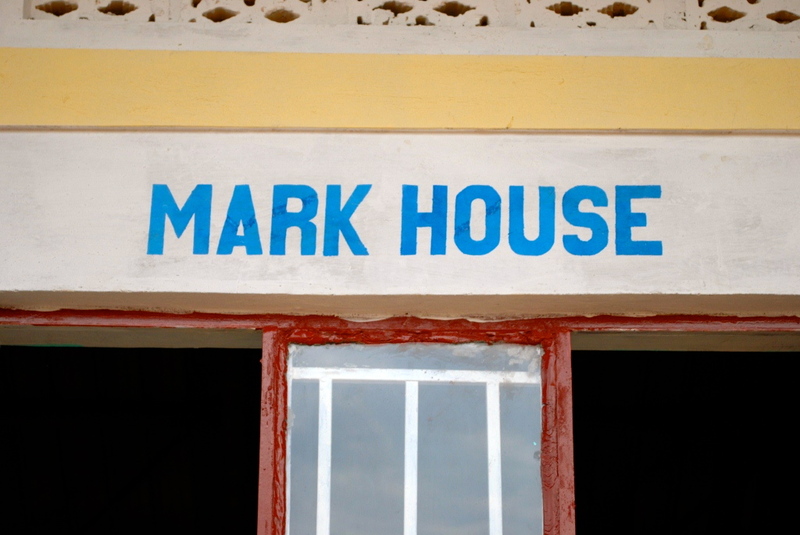 In 2009 when I was first in Uganda with Cherie and Kirsty, we built Kiwi House to rehouse the 100 girls currently living in the library and computer lab. With a grant from the Rotary Club of East Coast Bays in Auckland, we plastered, painted and furnished both the library and computer lab then diligently set out to fill the shelves and tables with as many books and laptops as we could find. When we left in November 2009, the shelves were sparse but it was a start. On my return to KAASO in 2012, I brought with me 12 laptops which had so generously been donated by Louis Vuitton where I was working in Paris. They were just three years old and were received with open arms by all at KAASO. The computer lab was growing. 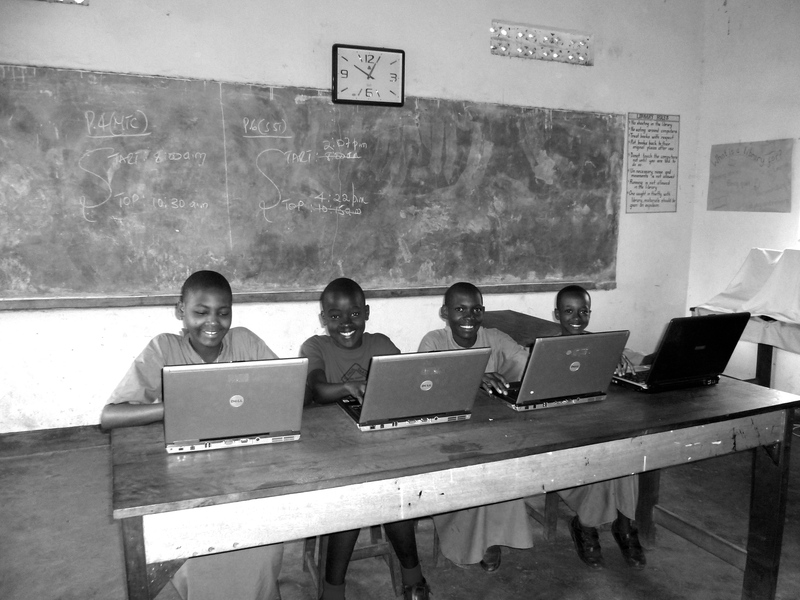 Volunteers at KAASO have continued to bring over second hand laptops and to teach computer lessons to both the children and teachers and computer literacy has been steadily growing. And now, thanks to Dominic’s trip to the USA last year, the computer inventory of KAASO has doubled. Corbett School in Tampa, Florida where Dominic visited with Mark Thompson, the head of the American National Education Program, sent over 20 computers and today Dominic has written to let us know that they arrived safely at KAASO. He also shared the exciting news that a full-time computer teacher has been employed to focus specifically on computer lessons for both the school and the community. The shipping expenses of the computers were generously covered by the Trinity Rotary Club in Florida and KAASO wishes to express their gratitude for this as well as to John Mpagi in Kampala who assisted with receiving the computers at the airport in Kampala and transporting them down to KAASO. It’s so heartening to see the KAASO support network growing – this was exactly what we’d hoped Dominic’s trip to the USA would achieve; through his travels his incredible charisma, passion and magnetic personality have helped spread the word about KAASO far and wide. A huge congratulations to all who helped make this possible. I wish the students and Empowerment Group members all the best in their computer lessons and I look forward to seeing the newly stocked computer lab on my return to Uganda. One year and seven months later, I am flying high. I left Sydney in the red light of dawn this morning, the rising sun following behind as I flew westwards. In September last year I moved to Sydney to write and to pause, to collect my thoughts and create some semblance of stability in the ever-changing tide that had been my life on the road for the past four years. 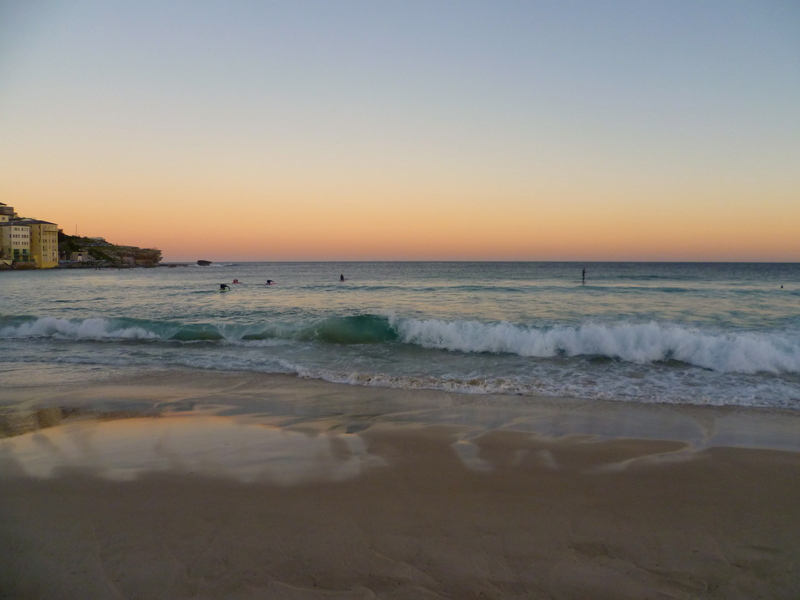 I adopted local cafes, local bars, local walks, local bookstores and of course my local beach. And in spite of my perpetual fear of ‘settling’, I found myself overcoming such worries and falling head over heels with my new home. It’s nice to know I now have a base in the world from which to flit and as my taxi took me through the deserted 4am streets, I was sad to leave. But I will let the winter take hold in my absence and return in August with the scent of spring. I went to the beach yesterday evening one last time and watched as the sky faded from pink to blue and darkness overtook. The surfers squeezed the remaining light out of the day and two ambitious fishermen cast their lines into the surf. I was bombarded by seagulls and shared smiles with evening walkers, fellow drifters able to enjoy the last of the light that slips away while the 9-5 workers battle the traffic home. I walked on the warm sand at the water’s edge, retrieved my flip flops where they faithfully wait for me each day and farewelled the beach that has come to be my source of inspiration over the past months. 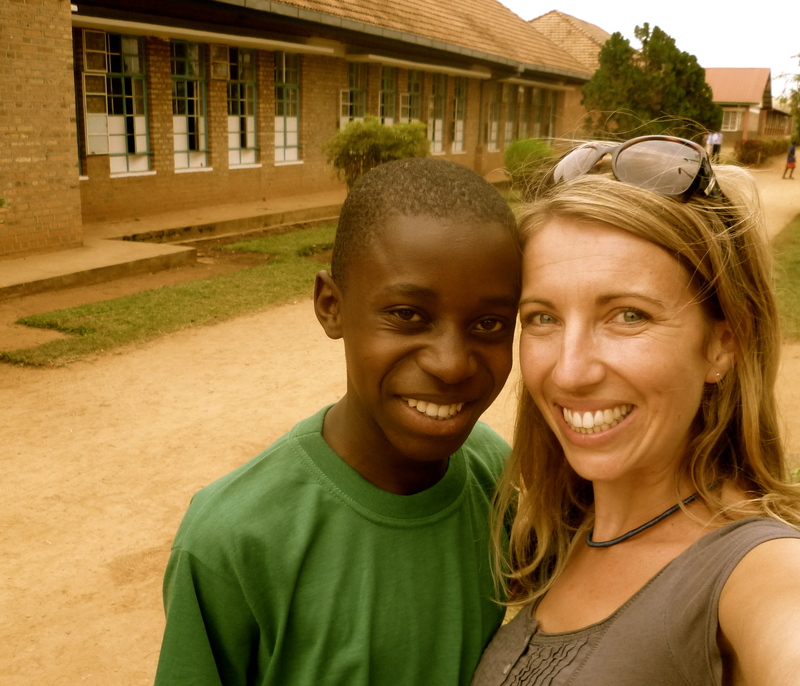 I made a promise, not only to myself but also to the children of KAASO that I would be back to Uganda within two years. I’m not sure they really understood but I am a girl of my word and now, 19 months after leaving the village, the time has come for me to return. Thus I find myself on the start of a journey that will ultimately deposit me back in the place that stole my heart. I have with me over one hundred children’s books, laptops, cameras, coloured pencils & paints, mosquito nets, malaria tablets, my guitar and my parents in tow. 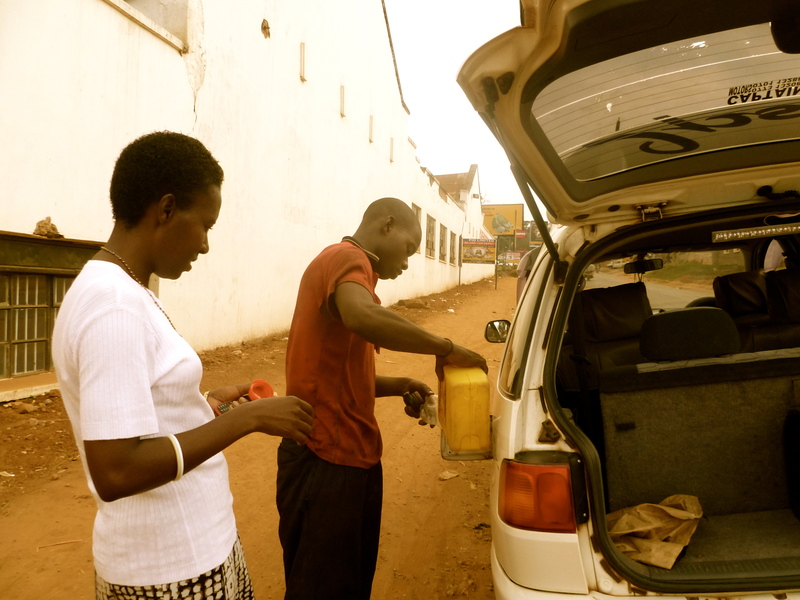 I still can’t quite believe I managed to convince mama and dad to join me on this potholed road but in spite of initial hesitations as riots erupted in the streets of Kampala when we were about to book our flights, the dust has settled and I will have at my side two very excited companions on my journey back to KAASO. It is the beginning of the end. I am now in Kampala on the start of my long journey ‘home’. Home being London for 48 hours then the south of France where I will be working on the Louis Vuitton Trophy for three intense weeks before crossing the Atlantic on the good ship Sojourn… Nothing seems quite real and my head is spinning trying to comprehend the fact that I have, after six incredible months, left KAASO and will soon be out of Africa. Half a year seemed like such a long time from the outset and there were definitely times when it felt like time was standing still – when you’re tired, when you’re scared, when there are bats in your room, when the pump is broken and you have no water, when the solar power dies yet again and you’re sitting in darkness… But these last few days have flown by so quickly and now I’m left wondering where the time has gone. I will soon be sitting on a plane wondering if this was all a dream, knowing that I will never fully be able to comprehend all that has happened, all I have seen and done and been fortunate enough to have been a part of for the last six months. It’s overwhelming. Before leaving, I spent as much time as possible with the children, in classes and around the school, trying to make the most of my final days with them and making sure these memories were etched in my mind forever. The teachers tried to explain to the younger children that we were leaving and would not be coming back (for now) but I don’t quite think they understood. The older children certainly did though and we received floods of letters and notes asking us not to go and telling us that they will never forget us. As if it wasn’t already hard enough to leave. Last Sunday was a day of epic proportions. School visiting day saw what felt like hundreds of parents and relatives flooding through the school gates in their colourful gomesis to be met by children who raced to greet them then hung off their arms in delirious excitement. It was wonderful to see so many reunited with their families and to confirm that some did, in fact, have families. You can never be sure here. I was proudly introduced to numerous mothers, fathers, aunts, uncles, brothers and sisters and had many hilarious conversations in Luganda – needless to say, they were short conversations! This joy was undercut by the the children who stood waiting at the gate all day for parents who never came, leaving them in tears of disappointment. The day began with an 8am two-hour mass which Cherie and I somehow managed to dodge – it was our job to decorate Kiwi House for the official opening and we, of course, took our job very seriously. Unfortunately the moment that we chose to begin decorating was not exactly ideal. We’d tried to wait until the mass was over to avoid causing a commotion outside the window hanging our paper chains and fans that we’d made with the children but eventually mass dragged on a little too long and we decided to just begin. So I was balancing bare foot on a chair trying desperately not to fall off in the scorching heat as I tried to thread the paper chains through the rafters, Cherie was laughing at me and trying to help at the same time when the entire congregation came outside. To our horror, the priest began to bless Kiwi House, half dressed as it was with us standing covered in paper chains. Not quite how we’d pictured it. The crowd watched us with amusement as we tried desperately to get it done but we gave up and stopped as they started to take photos of Kiwi house half-draped with paper chains and boxes all over the veranda. It was hilarious. The skies are grey but there’s still a certain kind of light here which means the colours remain so bright and alive – the banana palms are vibrant green, the muddy earth so red. 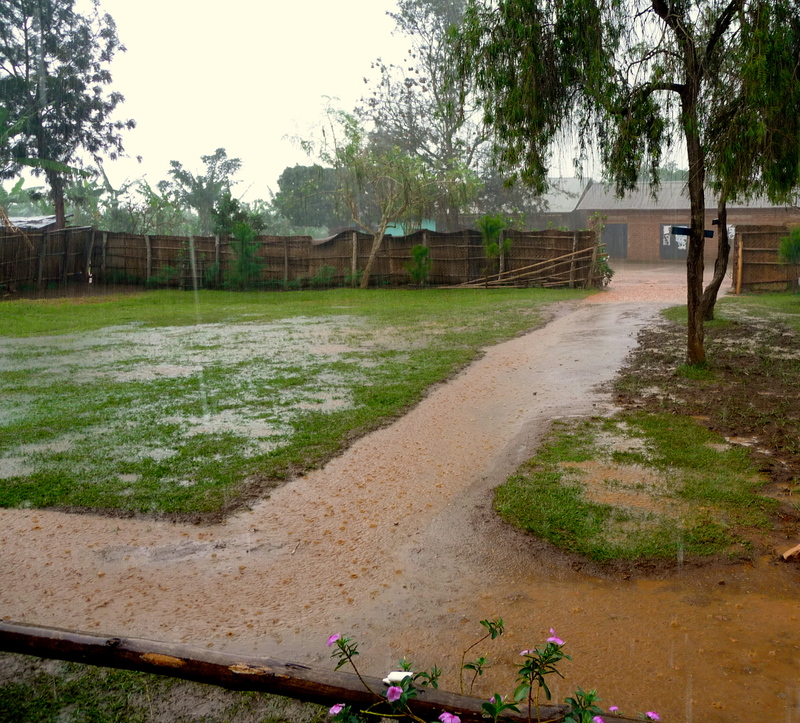 These last two months have been the supposed rainy season but the rains have largely failed, with only three or four days of what people here would call ‘real’ rain. For a summer sailing girl like me, sunny days have always meant being outside, swimming, soaking up the sun and enjoying evening happy hours at sunset. I’m quickly learning that sunny days here mean famine. Dominic came in looking grim the other day and said that because of the lack of rains, next year much of the country would starve. He said it with regret but without sensation; here such things are a fact of life. 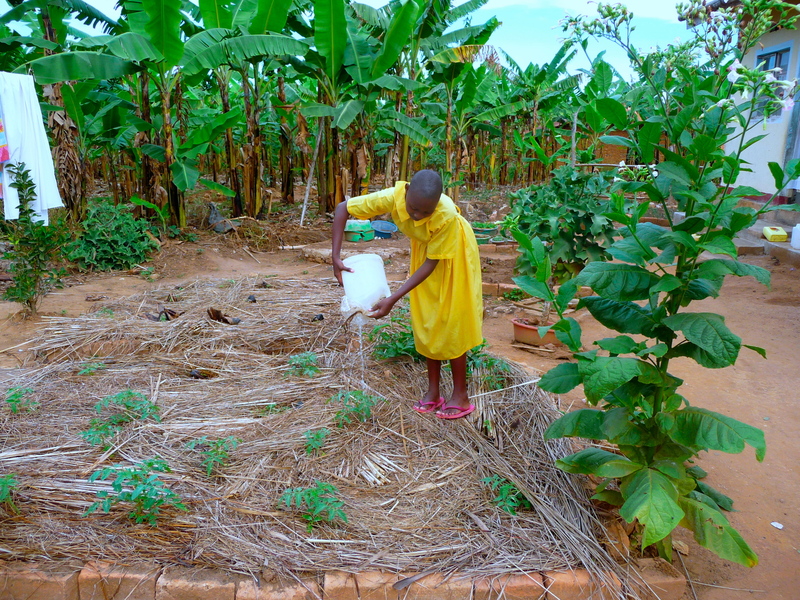 Teacher Sarah has planted her own garden of crops and actually knelt down and praised the Lord when it started raining yesterday. It really feels as though a change has taken place in me this term. While our first few months here were all about learning, asking a million and nine questions, trying to piece it all together and make sense of everything, since we have been back it now feels as though this place is our home. Yes, everything is still completely different to all I’d ever known before I came here but now I have finally formed a kind of routine in which I have come to accept that nothing will go to plan, plans will change and no one will tell you, but that’s life. Once you get your head around that, it all feels strangely ‘normal’. I teach English classes most days to my gorgeous little 5-year olds and everyone is amazed that they actually understand me but I have been teaching them almost every day for the last few months and we have reached some kind of hilarious understanding – usually involving me jumping and dancing around the room to get my point across. They laugh, they learn, we get there. I’m also teaching English to the older children who are preparing to sit their Primary Leaving Exams. It’s a big deal here – if you fail you have to repeat the year again and again until you pass to go onto secondary school – if you can afford it and that’s a big if. Some in Primary 7 class are 16 or 17 years old, either due to being held back or simply because their parents could not afford to send them to school until they were older. 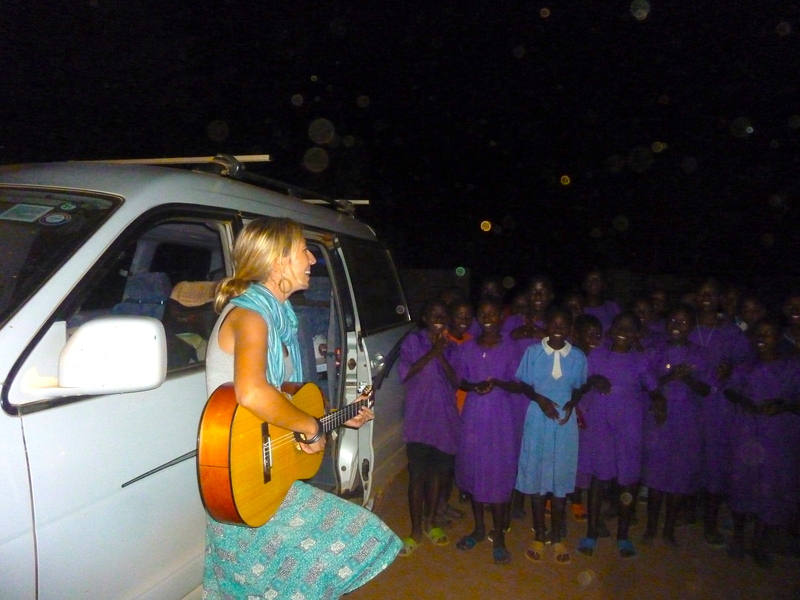 I do a bunch of music classes which leave me with no voice but a huge smile, watching the children dance and sing – along with the teachers who love to join in. I’ve never felt like such a celebrity in my life – I only have to walk near the classrooms with my guitar and all of the children run to me screaming “P1? !”, “P2! ?”, “P3? !” desperately hoping that it will be their class I’m coming to. One of my little favourites, Brenda, took my hand as I walked into the class of rioting children who had already begun to sing and whispered in my ear with a little smile, “Thank you for coming Madam Emma.” It makes me want to smile and weep at the same time, their gratitude is immense. I’ve just started teaching them ‘Leaving on a Jet Plane’ and it’s all I can do not to cry every time I play it but I can’t help myself. It’s incredible to bring songs from my childhood to the children here and I know that they will live on at KAASO forever – these children never forget a song! I also help the teachers to mark exams which provides endless entertainment (in an exam letter to a friend, a girl called Florence signs off “I command you to stay a virgin and lovely as you were”) and frustration (when the English exam is written in improper English – how can a nation learn??). As crazy as it sounds, I don’t think I really quite understood when I came here that I would be living and helping in a school not an orphanage and although many of these children are orphaned by AIDS, most go about their day quite normally as you would find in any school around the world. Well, not quite, but it’s not the dramatic scene I had pictured before coming here. My days are filled with wide eyes, big smiles, little hands, greetings of “Madam Emma!” and usually no more drama than a scraped knee. I’m going to miss it. I have blisters on my fingers from sharpening coloured pencils, I now find it normal to kick giant centipedes from my room, I’ve gone cross-eyed from tying knots in beaded fishing line, the bat that lives in the roof above my head no longer bothers me, I hardly notice the cockroaches that run across our dining table, I say sorry to people for things I didn’t do, I know that I will not be able to walk past a single person without greeting them for five minutes repeating the same phrase, I think nothing of crunching gravel in my rice and when the pond water is muddy brown, I bathe in it anyway. I am officially becoming Ugandan. So we thought it was about time we got out of the village and had a weekend in the city. Yes, that same city where people literally ran riot through the streets not so long ago but now you would hardly know except for the marked presence of soldiers in the streets. In typical Ugandan fashion, they rioted, made a horrifically gory calendar to celebrate/commiserate/commemorate the dead and dying and forgot about it. And so here I find myself, in the Kampala in search of a glass of wine and a good coffee. So far so good.